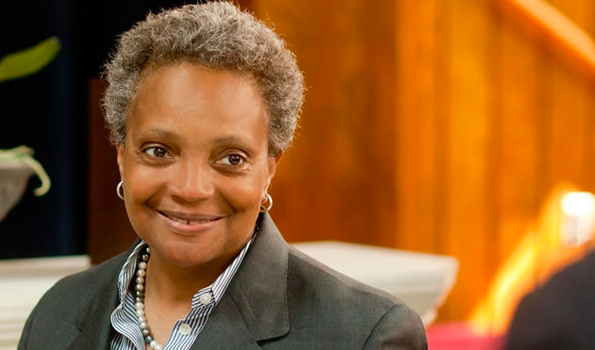 The run-off election Tuesday night in Chicago resulted in a history victory for Lori Lightfoot, who became the first openly lesbian and black woman elected mayor of the city. The Associated Press called the race for Lightfoot, who was running against Cook County Board President Toni Preckwinkle, at 8 pm local time. Two other lesbian candidates — Satya Rhodes-Conway in Madison, Wisconsin, and Jolie Justus in Kansas City — were running for the offices of mayor elsewhere in the country. Neither of those races were called at the time of this posting.